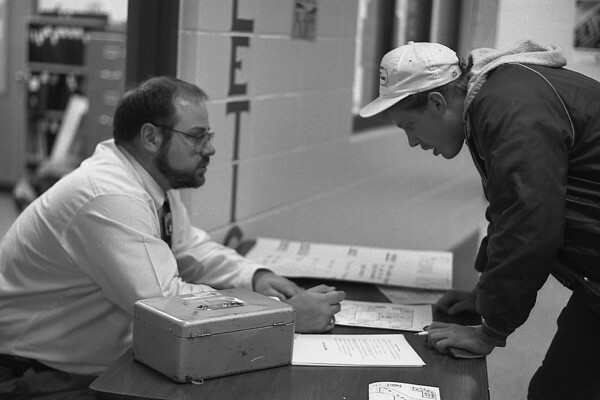 First-year Fairfield High School Athletic Director Barry Younghans, left, issues a boys basketball regional ticket to 1990 FHS graduate Ron Mast Tuesday. Fairfield received 1,195 tickets for the Elkhart Regional and had only 39 left at 8 a.m. today. Westview received 1,139 and was still issuing to season ticket holders today. Fairfield and Westview meet in the second game of the regional at about 12:45 p.m. Saturday.